Miles Victor Wilbanks, age 70 of Cornelia, passed away on Friday, November 23, 2018. Born on May 4, 1948, in Clarkesville, Georgia, he was a son of the late Jewell and Ruth Smith Wilbanks. 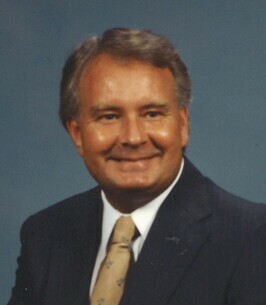 Mr. Wilbanks founded Habersham Insulation in 1977 which he continued to operate until retiring in 2006. He was a member of Hillside Baptist Church and enjoyed traveling, especially to the beach and the mountains. He also enjoyed spending time with his family to whom he was known as “Dadu”. In addition to his parents, Mr. Wilbanks was also preceded in death by a brother, Terry Wilbanks. Surviving are his wife, Linda Jenkins Wilbanks of Cornelia; daughters and sons-in-law, Lisa and Dale Dorsey of Demorest and Jennifer and Stanley Pritchett of Homer; son and daughter-in-law, Jon and Gentri Wilbanks of Clarkesville; grandchildren, Matthew Dorsey, RJ Pritchett, Jovi Lou Wilbanks and Harlan Miles Wilbanks; numerous other relatives and friends. Funeral services are 2 pm on Sunday, November 25, 2018 at the Chapel of McGahee-Griffin & Stewart with Rev. Mike Ross and Rev. Jerry Buschmann officiating. Interment will follow in Yonah Memorial Gardens. The family will receive friends from 5-8 pm on Saturday at the funeral home. In lieu of flowers, donations may be made to Hillside Baptist Church Building/Youth Fund, P.O. Box 726, Cornelia, Georgia 30531. To plant a tree in memory of Miles Victor Wilbanks, please visit our Heartfelt Sympathies Store. We encourage you to share any memorable photos or stories about Miles Victor. All tributes placed on and purchased through this memorial website will remain on in perpetuity for future generations. You all are in my thoughts, and prayers!!! Miles fought a long,hard fight!!! I love & miss you all!!! God bless!!! Linda & family, I am so sorry for the loss of Miles. My God bring you comfort & peace as only He can do. Praying for you & your family! I'm so very sorry about Mile's passing. He was such a good man. He loved his family and always tried to do what was best for each of them. He will live in your hearts forever.